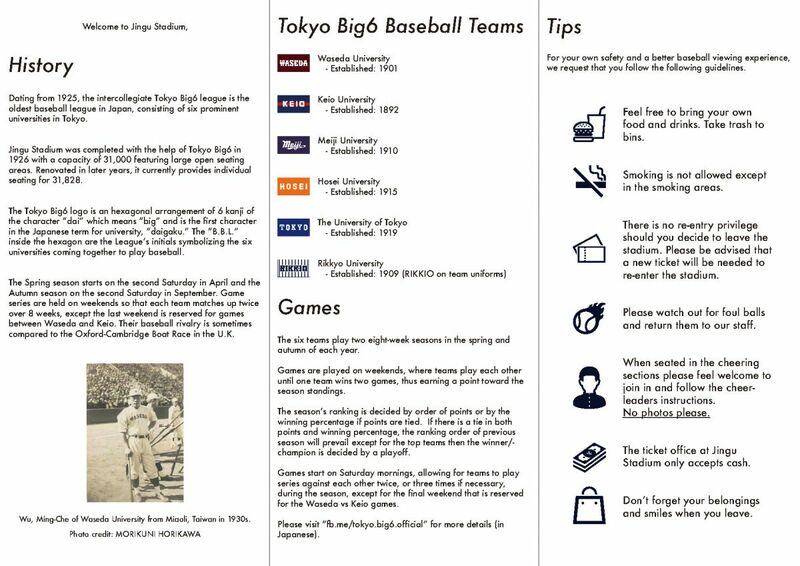 The Tokyo Big6 Baseball League, in its 103rd year in 2018, has released its first-ever brochure in English to attract students from overseas, expatriates and international visitors to Jingu Stadium in Tokyo. The League is sure that they will enjoy the unique Japanese sport culture of cheering performances and almost nonstop pep band music. Tokyo Big6, comprising the six prominent Tokyo universities of Waseda, Keio, Meiji, Hosei, Tokyo and Rikkyo, is always a leading contender in the annual National University Baseball Championship in June. Hosei University is top of the list with 8 championships in the last 66 national tournaments, followed by Komazawa University (Tohto University Baseball League) with 6, with Meiji University and Waseda University tied for 3rd with 5 each. The 2017 Championship was won by Rikkyo University of Tokyo Big6. 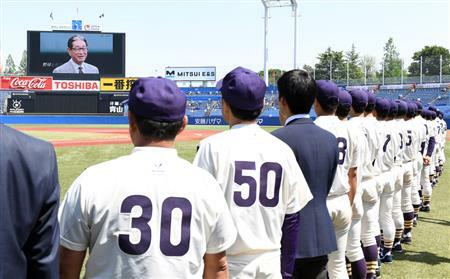 At Meiji vs. Tokyo game on Saturday, April 21, the teams, players and fans of Big6 honored memory of Sen-ichi HOSHINO and his impact, by offering silent prayer before start of the game. HOSHINO, alumni of Meiji as pitcher and a Hall of Famer, played and managed professional baseball including manager of National Team for 2008 Beijing Olympics, passed away on January 4, 2018 at age of 70. TheBig6 All-Star Team will represent Japan at the forthcoming 2018 World University Baseball Championship from July 6 to 15 in Chiayi, Taiwan.